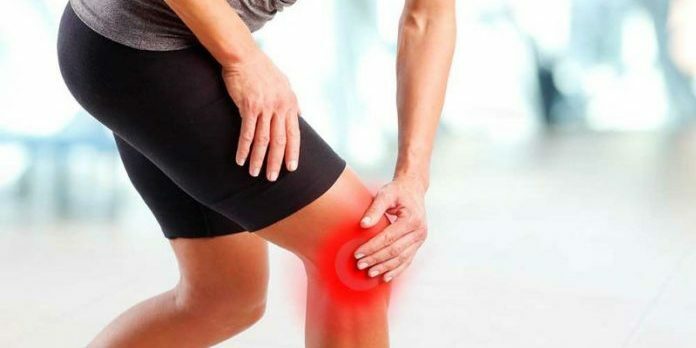 How to Relieve Knee Pain Naturally With Home Remedies? Knee pain is a very common problem seen in most people. It may be temporary due to strain or permanent due to serious damage or injury. People these days depend upon painkillers to get instant relief for knee pain. This may not be a proper solution to this problem. Natural and safer way to get relief from the pain and other symptoms of knee pain are natural home remedies. These home remedies may not be an instant relief for this problem but do not cause any side effects and treat it naturally. About one-third of adults are suffering from pains in different areas. Most affected areas by pain are low back, neck, shoulders, hips, ankles, and knees. Depending upon the severity of pain diet changes, exercise, salt bath, natural supplements and home remedies are the best treatments to reduce pain and inflammation. Knee pain is now a common problem these days that affects all age groups. Knee pain is basically a result of serious injury, torn ligament, and ruptured cartilage. Other medical condition like arthritis, gout, and infections also give birth to knee pain. Causes – a major cause of knee pain is severe injuries. These injuries may include anterior cruciate ligament injury, fracture, torn meniscus, and knee bursitis and patellar tendinitis. Other medical conditions responsible for causing this problem are arthritis, gout, and other medical conditions. Milk and turmeric– 1 teaspoon of turmeric in hot milk daily is a very effective home remedy to reduce knee pain. Milk is a natural powerhouse of calcium that gives nourishment to bones and curcumin present in turmeric is a powerful anti-inflammatory agent that reduces excessive spasm and inflammation and gives relief from severe knee pain. Drink it daily to cure excessive knee pain. Fenugreek seeds– Roast the seeds of fenugreek, crushed them into a fine powder and make a thick paste of fine powder of fenugreek seeds. Apply this paste in both knees daily to relieve pain and inflammation. Epsom salt bath or soak-Epsom salt is another great home remedy to reduce chronic knee pain. Epsom salt is a rich source of magnesium sulphate that helps in reduction of pain. Dissolve one cup of Epsom salt in warm water and stir it properly. Put your knees in this lukewarm water to get instant relief from knee pain. Fat-hen leaves – fat-hen leaves or bathua leaves are again great home remedy easily available at home to cure this serious problem. Crush few leaves of bathua and get its pure extract. Take this bathua leaves extract daily empty stomach will help to reduce inflammation and severe pain of knees. Onions- Add consumption of more onions to your diet because its anti-inflammatory properties reduce inflammation and phytochemicals present in onions are used to boost our body immunity. Prevent it from the effect of various diseases. Magnesium-rich diet- Add green leafy vegetables, nuts, and beans to your daily diet because it contains a rich amount of magnesium. Magnesium helps to hinder the biomechanical actions in the body. It helps to reduce spasm, pain, tenderness, and stiffness in the knee joint. It helps to sooth the knee area and also beneficial to increase the reduced bone density. Ginger- Ginger is anti-inflammatory in nature, its topical application of ginger oil and intake of ginger tea with a teaspoon of turmeric daily helps to reduce pain in case of knee joint pain. Basil leaves- basil or tulsi is anti-spasmodic and anti-rheumatoid in nature. External application of basil leaves over infected knees helps to relieve pain. It is also used in form of herbal tea to reduce pain, spasm, and inflammation in knee pain. Extra virgin olive oil- olive oil is considered as a best lubricating agent to body joints. Oleocanthal present in olive oil inhibits two enzymes COX1 and COX2 that works like painkillers to reduce severe pain. Excessive heat destroys oleocanthal present in olive oil, so try to avoid extra heating. Dandelion leaves – Rich quantity of vitamin A and C present in dandelion leaves are incredibly used to repair damaged cartilage and also beneficial for removing toxins from our bloodstream. Linoleic acid present in these leaves possesses anti-inflammatory properties. This helps in the production of prostaglandin that is a very powerful agent to reduce excessive inflammation. It is also good for rheumatic patients. You can use it in the form of tea or raw salads. Drumstick leaves- fine paste of drumstick leaves if applied gently on both knees gives relief from redness, pain, and inflammation in knee pain. Cinnamon and honey- 1tablespoon of cinnamon mixed with honey is again great home remedy to get relief from knee pain. Cinnamon is analgesic and anti-inflammatory in nature. It helps to repair damaged tissues and cartilages. Applying a paste of honey and cinnamon on affected joints also reduces killing the pain. Stay hydrated always because the water content is very essential to give nourishment and support to the cartilages. Water helps in the process of removal of toxins from the body and protect it from harmful diseases. Do yoga asanas that are knee friendly. This will surely help to relieve excessive pain. Do gentle exercise daily that cannot give any harm to the knee joint. It will help in reduction of spasm and tenderness. Cold compress thrice a day will reduce pain and inflammation. Apply warm mustard oil with turmeric to reduce inflammation and pain in case of old injuries. Always wear comfortable footwear and try to avoid wearing heels. Avoid a sedentary lifestyle and always try to be active. Reduce excessive weight because obesity also gives birth to joint pains. Try to sit in right postures. Add calcium and vitamin –D to your diet. Author Bio – This article is written by DR. Vikram Chauhan (MD – AYURVEDA). He is an expert Ayurvedic practitioner based in Chandigarh, India and doing his practice in Mohali, India. He is spreading the knowledge of Ayurveda (Ancient healing treatment), not only in India but also abroad. He is the CEO and Founder of Planet Ayurveda Products, Planet Ayurveda Clinic, and Krishna Herbal Company. I recently bought these for my dad if anyone is looking for a solution. He said they helped a lot. (We are still trying them out) I would love suggestions on other methods others might be trying..
Reading your message it would help if you said what ‘these’ are. It could mean anything and while it is not as infuriating as the usual ‘do this’ or ‘take this’ in the messages that are the precursor to a wasted half hour reading or listening to some prick who is flogging (selling) some junk, it still doesn’t say what it is, so I can’t comment, but if it’s to do with arthritis, stinging the affected joint with nettles helps a lot, and as there aren’t many surface nerve endings in joint, it doesn’t sting a lot and the power of the sting soon goes. The white corpuscles rush into the stung area to clear the cause of the stinging and at the same time clear the inflammation from the joint. I cleared the arthritis of my left thumb completely in a few weeks. The knees take a lot more due to the size of the joint. Olive oil (taken internally) also helps.